We meet for worship each Sunday at 11.00am. All are welcome. 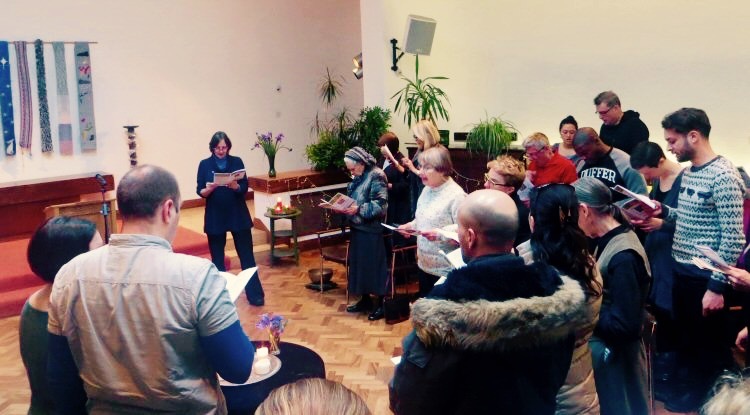 The format of the service varies, and usually includes music, singing, meditation, an address, an opportunity to share joys and concerns, and a parallel programme of activities for children. Download an information sheet and template order of service for visiting worship leaders. We also offer monthly midweek worship at our ‘Heart and Soul’ spiritual gatherings.